Brightening cream Bio Coconut effectively removes age spots and traces of acne and other skin imperfections. This cream nourishes and moisturizes the skin, brightens it and gives it a smooth, velvety and Shine. Content: coconut milk, dandelion extract, manjishtha, lemon extract, almond oil. Application: apply desired amount smooth thin layer on cleansed face and neck, massaging with light circular motions for 2 minutes, avoiding the sensitive areas the skin around the eyes. Original name: Bio Coconut whitening and Brightening cream, 50 ml Biotique. 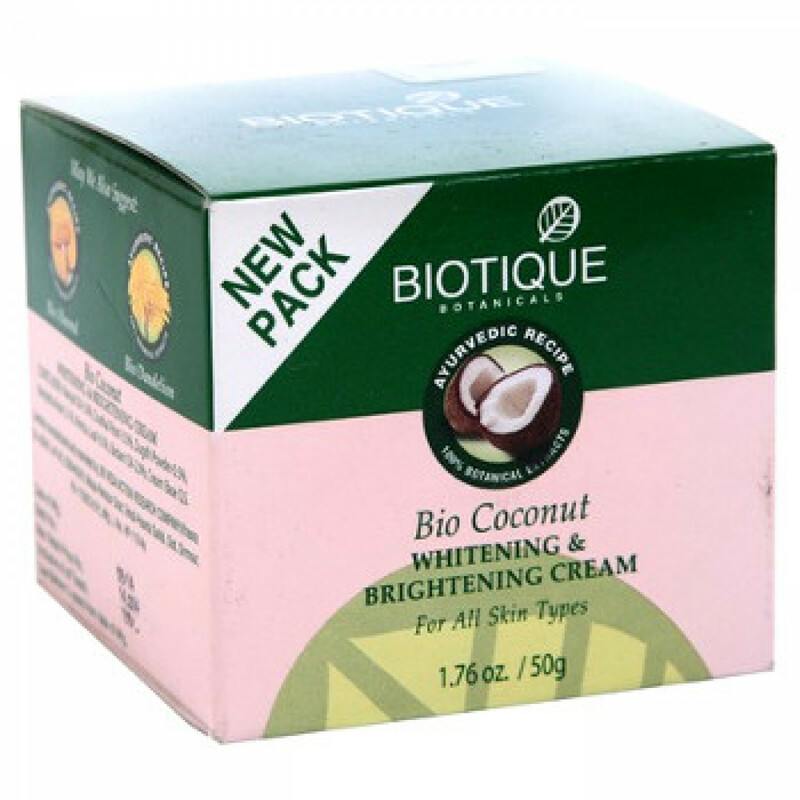 In our store You can buy authentic Brightening cream Bio Coconut Biotic at the best price!